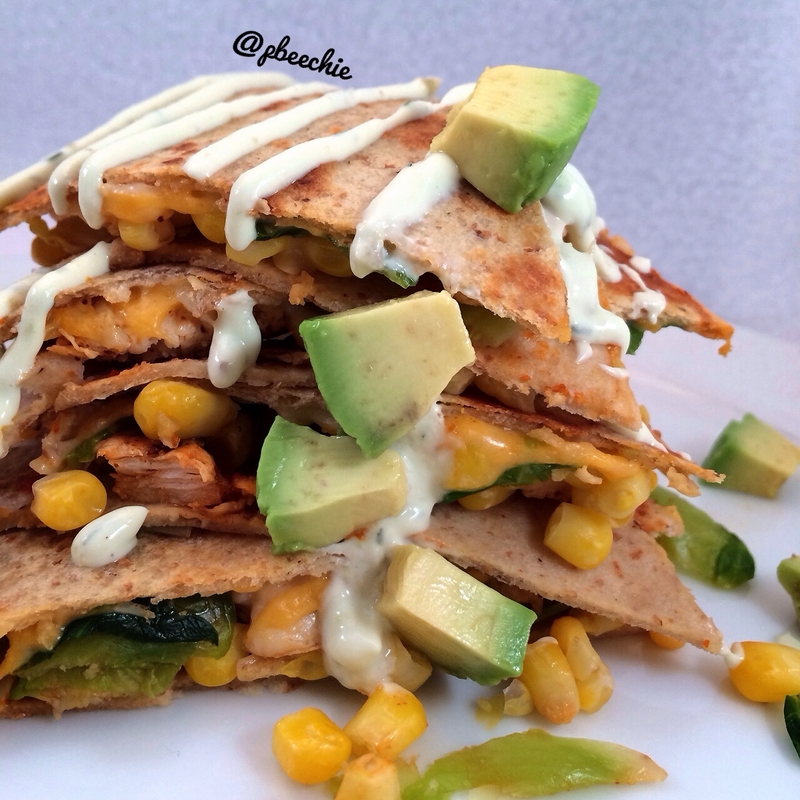 Spice up that regular ol' quesadilla! Mix the water, sriracha, lime juice, and chili powder. Chop the raw chicken into cubes and place it in a pan with the sauce mixture. Cook on a medium heat until the chicken is fully cooked. Steam and shred your brussel sprouts. Also, thaw out your corn kernels (I microwave for 30-60 seconds in water). Spray a pan with nonstick spray. Take 1 small tortilla and place it in the pan. On top put the cheese, steamed and shredded Brussel sprouts, corn kernels, a drizzle of sriracha, and the cooked chicken. Place 1 more small tortilla on top. Cook on a medium heat until lightly browned. Flip. Cook to brown the other side. Slice into 6 pieces and serve. I recommend serving with a healthy avocado ranch.